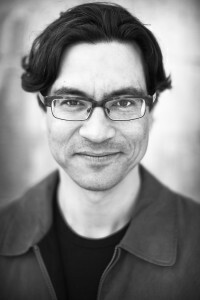 Award-winning journalist Duncan McCue is the host of CBC Radio One Cross Country Checkup. McCue was a reporter for CBC News in Vancouver for over 15 years. Now based in Toronto, his news and current affairs pieces continue to be featured on CBC’s flagship news show, The National. He’s an adjunct professor at the UBC School of Journalism, where he teaches the Reporting in Indigenous Communities course. He was recognized by the Canadian Ethnic Media Association with an Innovation Award for developing curriculum on Indigenous issues, and has taught journalism to Indigenous students at First Nations University and Capilano College. McCue’s journalism has garnered several RTNDA and Jack Webster Awards. He was part of a CBC Aboriginal investigation into missing and murdered Indigenous women that won numerous honours including the Hillman Award for Investigative Journalism. He was awarded a Knight Fellowship at Stanford University in 2011, where he created an online guide for journalists called Reporting in Indigenous Communities. Before becoming a journalist, McCue studied English at the University of King’s College, then Law at UBC. He was called to the bar in British Columbia in 1998. He’s also an author: His book, The Shoe Boy: A Trapline Memoir, recounts a season he spent in a hunting camp with a Cree family in northern Quebec as a teenager.